When it comes to your drain and sewer cleaning needs, D & M Plumbing is ready to respond. 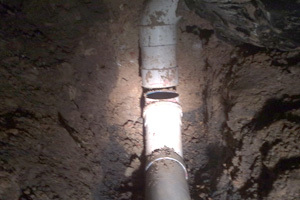 We can diagnose your slow or clogged drain problems and solve them - quickly and professionally. We specialize in fast, friendly service using the latest technology and techniques to get the job done right. We utilise the latest technology to ensure a superior “Blocked Drain” cleaning service including the use of Marco Drain Cleaning machines, Hydrojet Drain Cleaning machines and CCTV Video Inspectors. Through video inspection we can identify the exact location of the blockage for fast, efficient (cost effective!) clearing of drain blockages. All plumbers have Marco Drain Cleaning machines when they arrive on site for any job whether it is blocked drains related or not. We also have Hydrojet Drain Cleaning Machines that are used for cleaning/unclogging blocked drains. 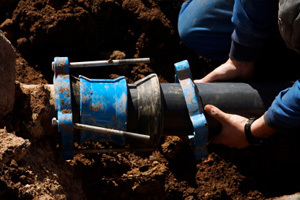 Our CCTV Video Inspector (drain camera) is also available to customers who may have blocked drains that are experiencing ongoing problems or have a suspected collapsed or broken section. Providing early identification of any problems allows it to be addressed promptly, therefore saving customers from ongoing angst and expenses. Book your blocked drains cleaning online today and save 10%. Call us now on 13 PLUBMER. Copyright © D & M Plumbing and Web design by The LAD Melbourne.